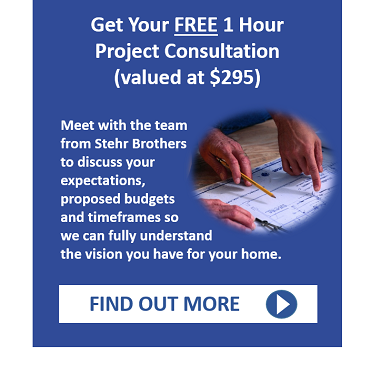 Get honest answers to the most commonly asked questions at Stehr Brothers. How much will it cost? Is it a fixed price contract? 80% is fixed cost, areas of unknown are allowed for in the contract, and are assessed when the building is ‘opened up’. The extent or in some cases lack of damage is impossible to ascertain until the building process commences and linings are removed for repair. We keep you completely in the loop from the beginning and discuss all options available to you as we go through it. Once consent is received, we are onsite as a general guideline for 4-5 months. Will I have to move out? If so, for how long? Yes, depending on how extensive the timber replacement is. We arrange and manage the job specific to your requirements and our aim is to get you back home and comfortable as quickly as possible we structure our program with this in mind. Once we go through all the fine details with you and get an agreed contract signed, payment starts with a 20% deposit to get the project up and running. From here on we provide monthly claims until completion. Will someone be on site every day? What hours do they work? Absolutely, a Licenced Building Practitioner (LBP) will be on site throughout your project right through to completion. Our normal working hours are 7:30-5:00 Monday to Friday with some half day Saturday work where required. Who can I talk to if I have a problem on site? The Site Supervisor (LBP) is always available to help you. What happens if I want to change something but the plans have already been approved through the council? No problem, your Architect will determine if the change is immediately notifiable to the Council and we can price and action as part of our scope of works. Do changes to the initial contract cost me money? Not necessarily, each change is examined on its merits and all variations that do incur costs are clearly outlined for you to accept before changes are made. Is my home insured while you are working on it? Yes, your own insurance company must be notified of the works and the contractor has a Contractors All Risk (CAR) Policy in place. Once I choose Stehr Brothers to undertake my work, what happens? We get on board with you and start planning the next steps! We enter into a binding Contract to undertake your work as specified. We complete the work on time, and get Council clearance of all work during construction and up to completion. You get to move back home and enjoy the safety of a leak free, mould free, damage free house with no more stress and heartache!